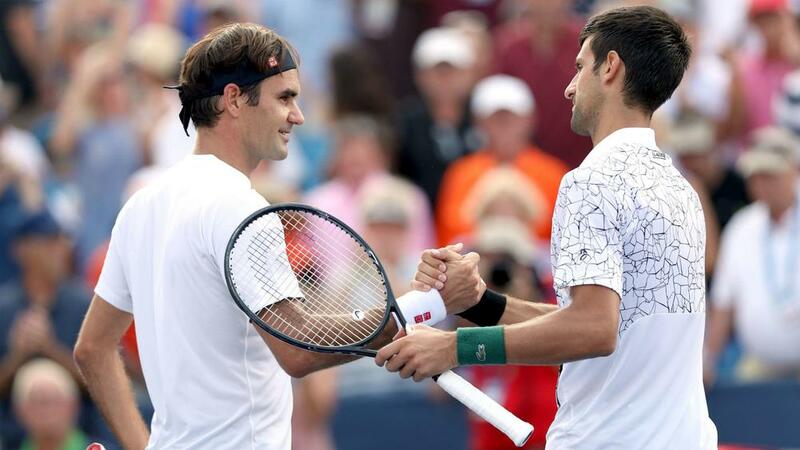 Novak Djokovic and Roger Federer are on course for a blockbuster US Open quarter-final after the details of the men's draw were revealed on Thursday. The pair met in the final of the Cincinnati Open on Sunday, their first match in two and a half years, and one which Djokovic won in straight sets to become the first man to claim all nine Masters 1000 titles. The Swiss starts against Yoshihito Nishioka and could take on Nick Kyrgios in the third round, while sixth seed and two-time champion Djokovic opens up with a match against Marton Fucsovics. Top seed and defending champion Rafael Nadal will begin against compatriot David Ferrer, which would be comfortably the pick of the first-round ties had wild card Stan Wawrinka not been paired with eighth seed Grigor Dimitrov. Third seed Juan Martin del Potro, champion in 2009, will face a qualifier, as will fourth seed Alexander Zverev, while Andy Murray, winner six years ago, takes on James Duckworth and could come up against Del Potro in round three.